@Agent99 wrote: Think I have been spoiled poking my nose where I shouldn't have. I am annoyed because I really didn't want to know! Anyway I will keep watching, but probably won't post much. @Agent99 Are you happy with what you think is the result? 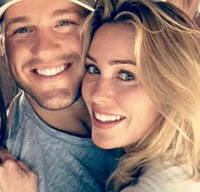 @Maddy wrote: The blond said that when she was 20 she just wanted to party around and asked how it was for the girls. Dasha said that she started working when she was 15 y.o. she never wanted to party around and so on, she was ready for a serious relationship and a family. She started working after finishing a high school. Last year she applied for a college and for the Bachelor. After making it to the Bachelor she decided to start her education next year. She told Nikita that where she worked they helped less fortunate girls to get a profession by teaching them. This education lasts 7 month, Dasha teaches for a month because she doesn't have a formal education herself. And she really likes to teach and to help others. That's why she needs a formal education. Nikita liked what she said, he told something like that she was a purposeful person. @LeapofFaith wrote: Also did the intruders say who they thought was a best fit or a good girl for Nikita? did they say Dasha, Sophia and Lilia??? Thanks!! I don't know what they said at the end to him, because while I was watching the episode the video was blocked due to copyright violation. Unfortunately it happened to all the videos I was able to find. ((( I was not able to watch much, just what I was able to comment on before. But I think at that part they said that Marina, Dasha, Sophia and somebody else were more open than others. Don't remember about Lilia, but she was very upset by intruders and didn't like them at all and didn't mean to be open with them. @LeapofFaith wrote: Oh and in your opinion who is Nikita going to pick as his f1?? or who does he seem to say he likes most?? So far I have no idea who Nikita might pick. So far I see that he likes Marina, Dasha, Lilia. But unfortunately I was not able to see his 1-on-1 with Dasha. ((( And then with Lilia, right? I'll have to read what Sprite wrote about that when I have time for it just to know what was happening. Well, I like Dasha and Lilia at the moment, so I would like them to stay longer to see how their relationships will develop. I like watching relationships being created, it is the most interesting to me about this show. And people fall in love unpredictably sometimes, so I'll be watching who Nikita will be falling in love with and how. I'm not even trying to guess, though I've read spoilers. But for me it is all about my experiences while watching the show. I have no idea what I'll be feeling about different girls and their relationships with Nikita. Hopefully we'll be able to see and feel something good. thanks Maddy! can you see the below video i embeded Dashas date?? I usually don't get too invested in the contestants - I Just want a love story. Which we're not seeing yet!! But IMO he picked for his future and that might be a rarity. ok so it’s not Dasha? 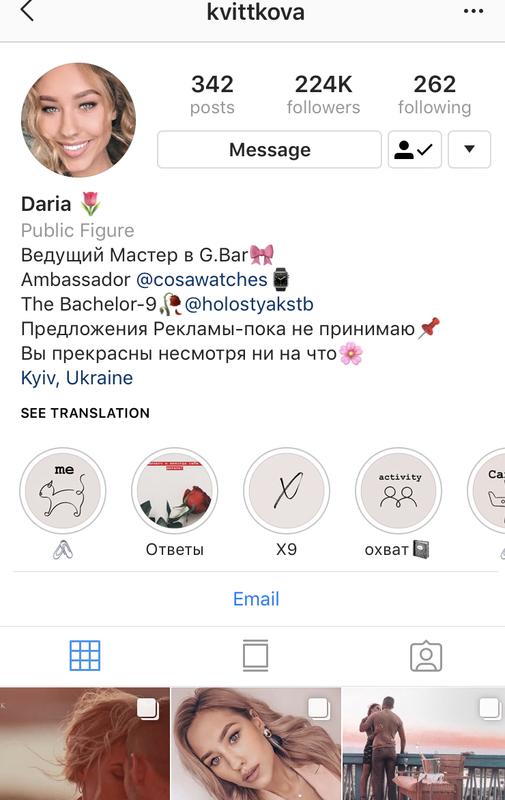 Because I see some sought of lurv story happening and interesting her ig has a sad Rose not the usuall bachelor red rose like every other contestant??!! But I watched what Dasha posted in her Insta. Good news! My Ukrainian friend downloaded the last episode for me! Now I just need to find time for watching it! So I'll be able to tell you more about it after that! @Sprite wrote: Nat was side hugging Nikita...I didn't think he was comfortable with it. She said it was his initiative, she wouldn't do it herself. What was Nikita asking them? and what were the responses? What was Olga complaining about Natali? Olga didn't talk much, she later told Nikita that she is afraid of Mat and doesn't like talking while she is around. Nikita said that it was a great date and asked them how they like to vacation. Nat said that she was vacationing 2x with her ex and 2x by herself. Nikita asked if it was okay for her to vacation by herself. Nat said that she very well gets along with people and had no problems with that. Olga said in ITM, that Nat is not like that, but she just wanted to show herself like that for Nikita. @Sprite wrote: Natali's turn for some private chat. She made him or bought him a card. She says something about their first meeting and she is getting emotional. He takes her hand and says something about comfort. I have a feeling he likes her, but she is friend zoned. I think he tells her something Olga said about her and she says she is in shock. He told her that Olga said that she was afraid of her. Nat said she was not afraid of her in the house and was swearing back and so on. @Sprite wrote: Nat does not pull any punches and does one of her imitations of Olga and says she (Olga) is an actress. Not sure Nikita was thrilled, but I think deep down he knows she is saying the truth and I think he thanks her for her honesty. Nikita had a good conversation with Olga for the first time. And he said that Nat was straight and it could be scary. @Sprite wrote: He tells them he can't give out the rose and he will let them know his decision at the RC. Nikita said that from this moment on he decided not to give roses anymore, he would need extra thinking to make his decisions. @Sprite wrote: Off he goes and the two of them get into it. Olga says that Nat is aggressive and Nat isn't having any of it. What did they say here? Shockingly, Olga says she doesn't want to discuss it and takes off. Nat asked her why she didn't say that she was afraid of her while Nikita was around. Olga said that there was no point to talk to Nat, because she was always twisting everything. She said that she felt like hitting her and that's why she wanted to leave, she didn't want to get physical with Nat. Nat is a bully for sure and she knows that. @LeapofFaith wrote: Can't wait to hear ur take on the Dasha date.. I like her, i wish i could understand what they were talking about? especially when they were just putting it looked like a serious convo?? Dasha was telling him about her dad, her biological dad, who left her mom and her when she just was born. And that he has a drinking problem. She said she didn't like to talk about it but felt like telling that to Nikita. Nikita said that his dad also had a problem with alcohol that was a reason that he died but he still didn't know really why and how he died. But he would like to have a relationship with his dad though it's not possible anymore. Dasha said that she tried to have a relationship with her dad but he would get drunk every time they would meet and he would call her grandmother asking her to pick Dasha up. So she stopped trying because it was totally useless. She also said that she couldn't stand drunk men. @Sprite wrote: What did they talk about as they were playing? Something to do with her family and then I think he was telling her about his. It seemed serious and he got emotional during his ITMs. I already told what it was about, he was missing his dad though he was a drunk and desperately wanted a relationship with him. He was telling Dasha, that doesn't matter that her dad was a drunk, he was still her father. Dasha said biological, he said not just biological, he was still your dad. @Sprite wrote: They continue along on a serious vein. I think she said something about her father wanting a boy and that she had anorexia? Nikita asked her to tell him about her family. Dasha said that she had a sister and both of them were into gymnastics and her sister got 3 medals last year. Nikita asked if Dasha had any medals, she said no. Then she told him that when she was in 7th grade, she was 20 kg heavier and kids were very mean to her, so she started dieting by drinking water and juices. She did it for a month. Then she got a diagnosis of anorexia. It took her a long time to work on her body and her mind, learning how to love herself and fixing her stomach. But since then she doesn't care who says what about her. Nikita said that it meant much more than a medal and she looked just great! And I understood why I never came across such a strong and level headed 20 y.o. girl. She is just incredible! I could say much more what impresses me in Dasha, just don't have time for that now. Maybe some time later.